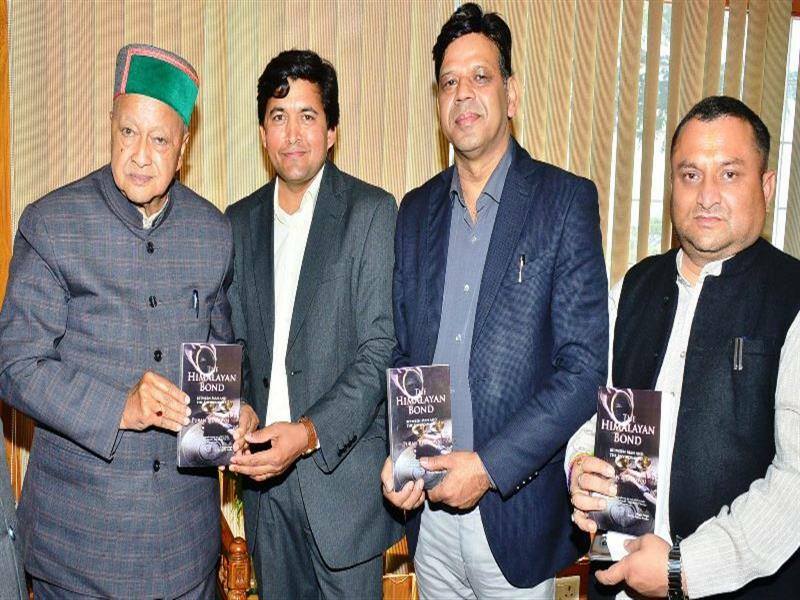 Shimla: Chief Minister Shri Virbhadra Singh released a novel ‘The Himalayan Bond’ authored by Shri Puran Bhardwaj who is based in London but hails from village Thali near Tattapani, the famous tourist place in Mandi district. The Himalayan Bond novel highlighting a journey of two young man including one Indian and one British born to explore the conflicting issues of globalization and sustainability that effect both urban and rural areas in modern day India. The novel also provides a rare insight into age old values somehow which have remained untarnished by modernity, besides, the novel also throw light on the modern lifestyle the Himalayas and the changing socio economic and political scenario of the day. The Chief Minister appreciated the efforts of the author and congratulated him for the research done to highlight the relationship of the man and the environment and also praised him for the comparison he had made in the novel between rural and urban Himalayas.